London Fletcher has played in the NFL for 16 seasons. 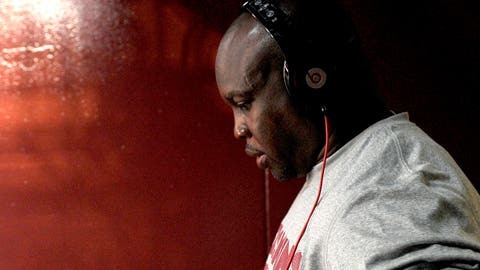 London Fletcher announced on Wednesday that he is "99 percent certain" this is his last season. Fletcher, 38, will be remembered as one of the most durable players to ever play because he never missed a game in his entire career. Sixteen games for 16 years adds up to a lot of football and the Washington Redskins linebacker should strongly be considered for the Hall of Fame one day. At 5-foot-10, 242 pounds, Fletcher was overlooked in the 1998 NFL Draft and wasn’t selected. But what’s so impressive is the linebacker from Division III John Carroll parlayed his opportunity with the St. Louis Rams to produce the most profitable career in the NFL for an undrafted player at his position. Fletcher has grossed $53,611,000 in 16 seasons, according to Spotrac.com. That’s the most ever for an undrafted linebacker. Fletcher is trailed by Bart Scott (11 years, $41,511,500) and James Harrison (11 years, $36,269,000) on the list. The Redskins signed Fletcher to a two-year extension in April 2012 and it was set to terminate after the season. The highest grossing undrafted NFL players, according to the list, are Dallas Cowboys QB Tony Romo (11 years, $84,242,332), former Rams/Arizona Cardinals QB Kurt Warner (12 years, $71,773,001) and Philadelphia Eagles LT Jason Peters (9 years, $58,580,000).